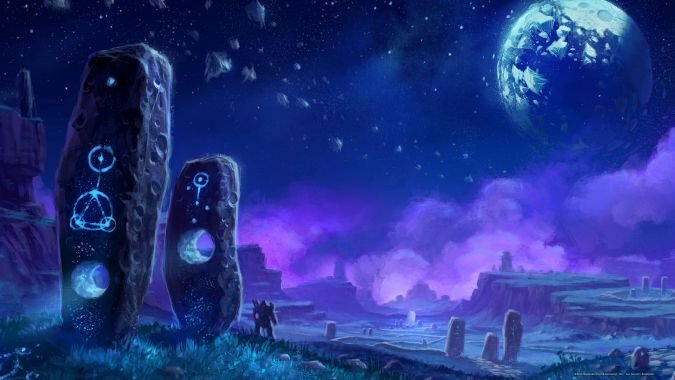 What in-game location from WoW would you love to see IRL most? Between pre-rendered cutscenes, the Warcraft movie, and fan-made imaginings like this one of Suramar, we’ve seen a lot of World of Warcraft locations in a level of detail where we may as well be looking at footage of real-life locations. Even though I’ve seen them dozens and dozens of times in-game, it never ceases to amaze me just how good they look when pre-rendered. I don’t think I’ll ever forgot the first time I saw the Warcraft movie’s Stormwind via a “virtual reality” app — it was truly surreal seeing it brought to life. But Azeroth and the worlds related to it are much bigger than a small handful of cities. Whether it be a sprawling city, a serene getaway, or a sci-fi landscape, there are no shortages of locations to visit. Of course, they’re all places to visit in-game — very few of them have ever been seen in fancy-pants pre-rendered graphics. And that’s part of what makes it so fun imagining what they might look like if they were pre-rendered… or, better yet, actual real-life locations. For me, I think I’d love to see Tirisfal Glades in real life. It’s less about the landscape — whose aesthetic I do love, don’t get me wrong — and more about the nostalgia factor. It’s the first zone I ever saw when I logged into the game, and it’s always felt like my in-game home. Seeing it in person would just feel right. That said, from a purely visual standpoint, I think AU Shadowmoon — Karabor included — wins my vote. Yeah, it has the benefit of being an alien landscape that I could literally never seen on earth, but still. It’s beautiful! How about you, though? If you could pick one or two in-game locations to visit in real life, which zones would you pick? Why would you pick them? Sound off below!